Did Rap Superstar Tupac Shakur Fake His Own Death To Avoid FBI Targeting and Prison Time? Is it possible the rap superstar faked his death to avoid FBI surveillance and potential looming prison time? Longtime friend and former Death Row Records C.E.O. says in a rare video clip “Pac would fake his own death and disappear to avoid going back to prison”. Many people do not realize that Tupac Shakur was more than a just a well-known rapper, much more. In fact at a young age Tupac already knew he was going to make a mark on the world, before the world would make its mark on him. Considered by the FBI to be a radical anti-authoritarian activist, 2Pac was a visionary revolutionary prodigy of his time. The famous African-American rapper and born activist, Tupac “2Pac” Shakur, son to Afini Shakur, a former Black Panther Party member, drew some attention of his own before his reported death, prompted by a violent vehicular shooting which took place on the hot summer night, early morning, of September 7, 1996, near the Las Vegas strip. Now in a comprehensive and exclusive Intellihub.com investigative report, the true events and potential possibilities surrounding the controversial rappers death are revealed in-depth for the first time in a major news publication. Intellihub.com will stop at nothing to bring forward the facts, realities and questions pertaining to the tragic events that took place on that very night after the Mike Tyson vs. Bruce Seldon fight at the MGM Grand Casino in Las vegas Nevada, including the altercation at the MGM that night with a South side Crip from Los Angeles later identified by officials not to be the shooter in 2Pac’s murder investigation. Many events that night were unsettling, including the botched crime scene evidence from negligence of Las Vegas Police Department (LVPD) officers and investigators. What are the makings of great leaders? What made famous war generals? What are strategies to win an argument? He often bragged about mastering both East and West coast rap styles and various top rappers styles. Tupac also envisioned the concept for one the tattoos on his chest which reads,“50 Niggaz” and has an image of an AK-47 assault rifle. Meaning that if 1 African-American came together in each state, one for each state in America, that there would be no stopping them, they could achieve anything. And so on. Tupac was often referred to by close friends as being very “deep”. Modern conspiracy theories are mixed amongst the populace on what really happened to the Death Row Records signed artist 2Pac, tons of witnesses have come forward over the years and there still to this day is a major lack of evidence that 2Pac even died. In fact, this exclusive series might interest you as sometime the truth is stranger than fiction. Not only is there a lack of evidence pointing out that 2Pac isn’t even dead there is added eyewitness testimony from various sources including former Death Row Records C.E.O., Marion Huge, A.K.A. Suge Knight Jr. that 2Pac is likely alive and well. 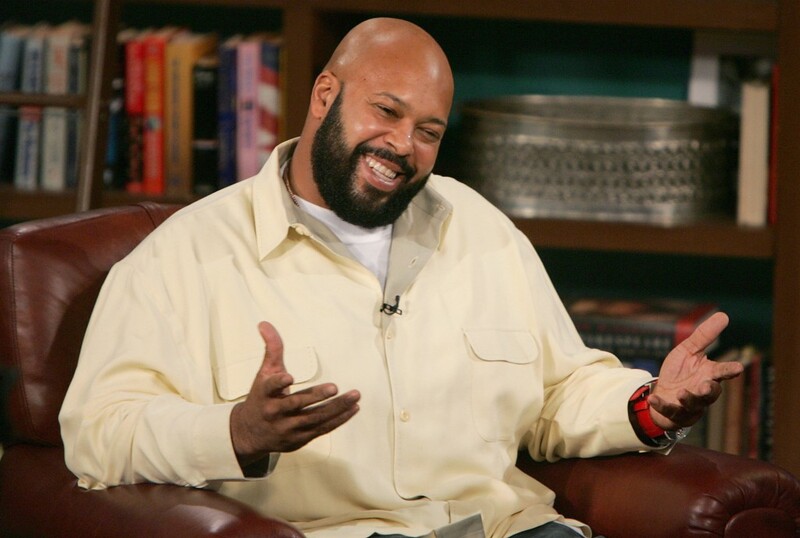 In fact, Suge Knight himself stated in an interview that 2Pac was so ahead of the game and other rappers at Death Row, including Snoop Dog that 2Pac had time to, “sit back and sip on Thug Passion and formulate another plan”. Thug Passion is a drink often that was often referenced and glorified by 2Pac in his music. Thug Passion contains, one part Alize and one part Cristal. Suge a known high-powered, well spoken, gangster thug has had numerous run-ins with the law over the years. According to the Los Angeles Times article posted in February of 2013, “The former head of Death Row Records has had a history of run-ins with the law. He was sentenced in 1997 to nine years in prison for violating terms of probation from an earlier assault case. He was released from prison in 2001 after serving less than five years but was sent back to jail in 2003 for violating parole when he hit a parking lot attendant. Knight filed for bankruptcy in 2006, citing civil litigation against him. The following year, his Malibu mansion was put up for sale. He was arrested in August 2008 in Las Vegas on suspicion of drug possession and aggravated assault.” Showing that Suge is likely not an angel. However some such as Frank Alexander, one of 2Pacs body guards on duty that night, came forward saying it is highly unlikely Suge had Pac killed. Investigators in Las Vegas concluded the same. After further research into the matter evidence and eyewitness statements show it’s highly unlikely Suge Knight orchestrated the murder of 2Pac. In fact, the evidence points to something more intriguing as 2Pac himself may have staged his own death, but first we must explore the background of the famous gangster rapper in detail. From his families Black Panther roots, to other events in his life 2Pac became a major target by several groups, both private and governmental. As he grew in popularity his safety was always at stake. Friends, family and acquaintances of 2Pac would often warn him that he couldn’t just chill in his residence with the blinds and windows open as he was begging for a problem. Eventually, 2Pac had a run-in which almost ended his life at a recording studio one night in New York City, which was then “Bad Boy”, Sean Puffy Combs territory at the time. Pac was attacked robbed and then shot execution style twice in the back of the head, then left for dead that night and somehow came back from the dead (figuratively) as he survived the attack depicted in the hit song “Ambitionz Az a Ridah” on the epic Death Row release “All Eyez On Me”. Tupac’s net worth is said to be in the $40 million dollar range. In fact, Forbes.com reported in 2011, “Lost in the news buzz is the fact that Shakur is earning money like he’s still alive. The late rapper’s estate took in about $3.5 million last year, by our estimates. Shakur has sold over 75 million records worldwide, with the bulk of that coming after his death; seven of his 11 platinum albums were released posthumously. As recently as 2007 Shakur’s estate banked $9 million–more than Eminem or 50 Cent made last year. Another interesting fact is that the official story suggests that 2Pac was evacuated from the scene in an ambulance while eyewitnesses report him being airlifted out of the intersection. Part of a bigger plan? The official coroner’s report yields a few interesting findings to say the least. Tupac Amaru Shakur’s Social Security Number, 546-47-8539, provided on the document is not registered in the Social Security Death Index (SSDI) and is currently still active out of the State of California since 1977, despite the fact that Tupac was born in Brooklyn, New York. The SSN is currently active in Quincy, Florida according to reports. The weight listed on the coroner’s report is 215lbs, although 2Pac only weighed around 165 at best as seen on his driver’s license issued out of California months before his death. The coroner’s report also lists 2Pac employer as Euphanasia which was said to be his new record label. The logo of the company was said to be a black angel of death which 2Pac wore on a $40,000 gold medallion the night of his murder. A journalist writing for ABCTales.com reported, “This finding had me interested, so I continued to research the names of the individuals present when the body was removed. I took note of the person identified as Mr. Troy Farrell, who assisted the Davis Mortuary with the removal of the body. What I find interesting is that this same person is today the Anatomy Lab Director of the Medical Education and Research Institute of Nevada, where is in charge of all unclaimed bodies. In addition, he serves on the Committee of Anatomical Dissection. The State of Nevada has a law which states that bodies that go unclaimed meaning no family comes forward to claim them must be stored´for 30 days, and they are then cremated. This raises the question did 2Pac himself and possibly Suge Knight and or employees of Death Row conspire to fake Pac’s death? If so what would be the reason? There were several reason Pac would fake his death. A few were pointed out by Suge himself. To avoid prison time on trumped up felony charges. To protect himself, Pac’s life was threatened on many occasions, and there was at least 1 attempted assignation on him while he was in New york. To avoid the FBI whom was actively engaging Tupac and members of his family. To fulfill a lifelong legacy that became a master plan blueprint (similar to Elvis) later likely reinvented and used by Bad Boy Records to garner major record sales after the famous East coast rapper “Biggie Smalls” death in 1997. You see, not only did 2Pac become the most selling rapper of all time with over 75 million records, his blueprint was likely later utilized by Sean “Puffy” Combs of Bad Boy Records after the murder of the Notorious B.I.G., A.K.A. “Biggie Smalls” with the epic release of the 1997, East coast album “Life After Death” just 16 days after the death of Smalls. Others such as Suge Knight himself have admitted that there are indeed a few strange circumstances that surround the death of 2Pac. Including the fact that Tupac’s body was cremated the very next day after his death following an expedited autopsy. Knight also stated that the man who cremated 2Pac was paid about $3 million dollars cash for his services. The ashes were said to be delivered in a box to the family the next day. Apparently the man that was hired to cremate Pac is nowhere to be found and essentially has disappeared into the wind according to Suge. Others have concluded that autopsy photos revealing tattoos on the body, don’t even match up with Tupac’s actual tattoos on his front and back. John Potash, author of the book FBI War on Tupac Shaur and Bandleaders, exposes the fact that 2Pac and members of his family were indeed targeted by the FBI on numerous occasions. Potash was able to file freedom of Information Act (FIOA) request and paid to receive over 2000 documents on the Shakur family. Only a fraction of the documents, 99 in total, were delivered to Potash as national security reasons were cited. A portion of the documentation revealed that the Shakur family was primarily targeted for its Black Panther ties. In fact, members of the Shakur family made up the core of the Black Panther movement in New York in the past. However, some wonder why gang-banger soon to be a rap star would be targeted by the FBI? The fact remains that Tupac Shakur was a life-long committed left-wing activist and was the youngest National Chairman of the New African Panthers, which wanted to replicate the Black Panthers. Tupac was even involved in press as he was the groups top newspaper salesman. According to Potash, Tupac’s business manager, Watani Tyehimba, told him “Tupac took on a fake gangster persona in order to appeal to gangs and politicize them”. Apparently this plan threatened the U.S. government as political messages were now reaching the streets garnering the attention of typically politically uneducated and unmotivated people. Some investigative journalists such as John Potash believe that Death Row Records in fact had a connection to the Federal government and was likely a front company for an intelligence operation. Messing 2Pac’s head up and ultimately straying him away from his roots of activism pushing him more into a gangster realm. It had also been discovered by a high-level police officer that Death Row Records employed dozens of Los Angeles police officers at all tiers of the company. Potash claims that when the officer questioned his superiors about the police on Death Row payroll he was told by his superiors to consider them “covert agents”. One of their goals was to aid in the murder of 2Pac and end the East coast, West coast paradigm. Chuck Willis writing for the Los Angeles Times in 1997 explained how, “Federal agents are trying to determine whether Harris and Johnson–who were both previously clients of Kenner–may have contributed seed money to help launch the rap company, sources said. Harris was recently moved from state prison to the Metropolitan Detention Center in Los Angeles, and there is speculation in law enforcement circles that he and Johnson may soon be called to testify in front of the grand jury. However, sources close to Harris said he would not testify; representatives for Johnson could not be reached. Justice Department officials have routinely declined to confirm or deny the existence of a Death Row racketeering investigation. Sources said, however that the Justice Department is investigating Knight and others associated with the company for alleged tax violations and purported links to street gangs, drug trafficking, money laundering and violent acts. Harris, who is serving a 28-year sentence for cocaine dealing and attempted murder, contends that he put up $1.5 million in late 1991 to underwrite the launch of Death Row. In a 15-page document prepared as a lawsuit last year but never filed in court, Harris says he cut his Death Row deal behind bars in 1991 during a visit from Knight and his lawyer Kenner. Law enforcement sources confirm that Kenner and Knight visited Harris in Lancaster prison nearly a dozen times in 1991. Kenner was said to have started to represent 2Pac with his new endeavors, but some question Kenner’s allegiance to Knight. It was said that 2Pac’s new album The 7 Day Theory would be on his own new label “Eupahnasia” which was listed on the coroner’s report as Tupac’s employer. So why was Pac so rushed to record The 7 Day Theory? Could this have been the master plan that former Death Row Records C.E.O. Suge Knight eluded to when he said 2Pac was so far above the other rappers at Death row including Snoop Dog that he had time to formulate a “plan” while drinking “Thug Passion“? Brielle Edwards wrote in an article entitled Tupac (Makaveli) vs. Machiavelli, ”When Tupac went to prison he studied Machiavelli’s work and also read his books while in prison while serving time for supposedly sexual abuse. He then changed his name to “Makaveli”. Nicolo Machiavelli was an Italian war strategist and philosopher who wrote about faking his death to fool his enemies. Therefore, when Tupac changed his name to “Makaveli” and then passed away, many believe that he faked or staged his own death. I do not believe that Tupac faked his own death because faking his death would be totally out of his character. He was relatively moved by Machiavelli’s work, so he used his name as an alias when he came out of prison. Not because he faked his death but because he had a lot of enemies and he could relate to Machiavelli in numerous ways. He didn’t fake his death though, a lot of people don’t know that Tupac wasn’t afraid to die he embraced death more than anybody of his time. To say he faked his death would be like saying he was a coward, and that’s not how he would have wanted to be remembered or portrayed. Tupac released only one album under the name Makaveli, which was a posthumous album due to Tupac’s unfortunate murder, Tupac rapped with an unmatched ferocity and challenged his enemies. The meaning of the Makaveli name may be that Tupac felt it was time to strategize in the hip hop world, as a metaphorical way of using Machiavelli’s tactics in war and public-relations. Also, Tupac has a clothing brand which is owned by his mother which is under the Makaveli Branded Label. Which is also pretty interesting as well. Aside from Tupac, today many rappers idealize Machiavelli for his association with power, deception, and cruelty. His name can be heard in many different songs and contexts. “New hip-hop has a trend of supporting a sort of “Get Money” attitude, embodied by rapper 50 Cent whose motto is “get rich or die trying”. This, although something Machiavelli certainly wouldn’t agree for the working mans ideal attitude, does support his view of how a ruler should govern” (halfseensights.wordpress.com). “ T-pain notes the resurgence of Machiavelli in his new freestyle of the hit “Black & Yellow”. His auto tune proclaims “You thought it was over, you thought I was gone, I’m going in you don’t have to let me, back from the dead like I’m Machiavelli Machiavelli”. Lil Wayne refers to Machiavelli differently in his song “30 minutes to New Orleans”. “Im sittin on Purielis, Pumpin Machiavelli” (halfseensights.wordpress.com). When rappers refer to Machiavelli specifically Lil’ Wayne in “30 minutes to New Orleans” he is referring to rap legend Tupac Shakur, who refers to himself as “Makaveli”. Is there more to the Tupac Shakur story than has been presented to the public? It has been said some including the talented rap artist Eminem and even Treach from the former hip-hop group Naughty By Nature, that 2Pac is indeed alive and residing in Cuba. Could the famous rapper and activist truly reside in Cuba? Recently the FBI engaged the Shakur family once again, when Tupac’s Godmother was added to the FBI’s most wanted terror list, making Assata Shakur, the second domestic terrorist in U.S. history. May 3, 2013, RollingStone.com reported, “Tupac Shakur‘s godmother has been placed on the FBI’s Most-Wanted Terrorists list, becoming the first woman added to the list and only the second domestic terrorist. Joanne Chesimard, now known as Assata Shakur, was convicted in 1977 of the murder of 34-year-old state trooper Werner Foerster on the New Jersey Turnpike. After her conviction, she escaped prison in 1979 and fled to Cuba. Assata Shakur is thought to be in Cuba. A $2 million dollar bounty has been issued for her capture. Some feel this could be an attempt by the FBI to flush out 2Pac if indeed he is alive and resides in Cuba to this day. During a set at the 2012 Coachella Music Festival, a hologram of Tupac joined Dr. Dre and Snoop Dogg and performed afew songs. The price of the hologram was estimated somewhere between $100,000 and $400,000, andDigital Domain Media Group, the company behind the 2Pac hologram, filed for bankruptcy within a year after setting up the performance. The hologram was a stunning replica of a human being both in look and sound, which raises another interesting question. How was such clear live audio ripped from old recordings, especially when the hologram can be heard yelling “What up, Coachella!” and other phrases that would date the recordings after his death? Some people believe that Tupac will reemerge in 2014 at the age of 42 to live out the Mackaveli prophecy having fooled his enemies. Whatever the case I’m sure the world will be waiting in 2014 to see if Pac reemerges into the spotlight. Shepard Ambellas is the founder & director of Intellihub.com(a popular alternative news website), researcher, investigative journalist, radio talk show host, activist, and filmmaker.